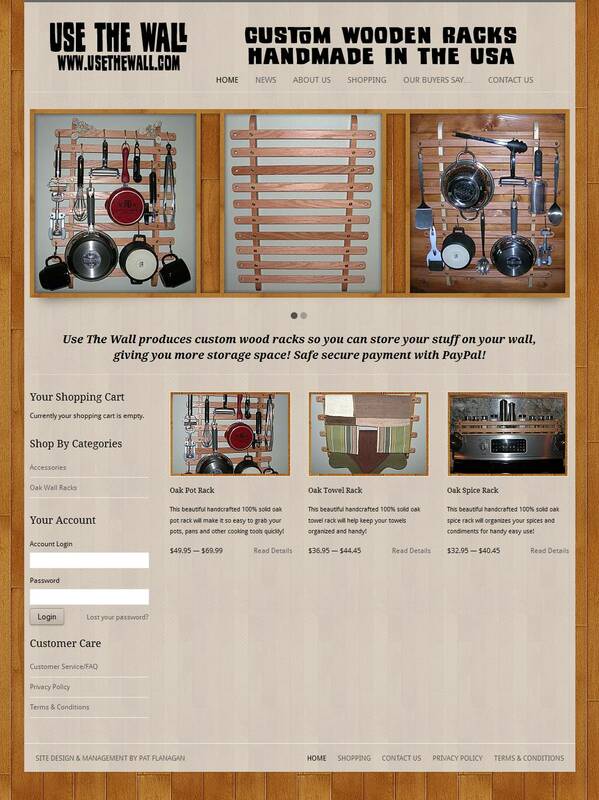 Rhonda and Scott Pauley produce custom-made oak wall-mounted storage racks for pots and kitchen utensils, as well as towels, spices and other upcoming items. 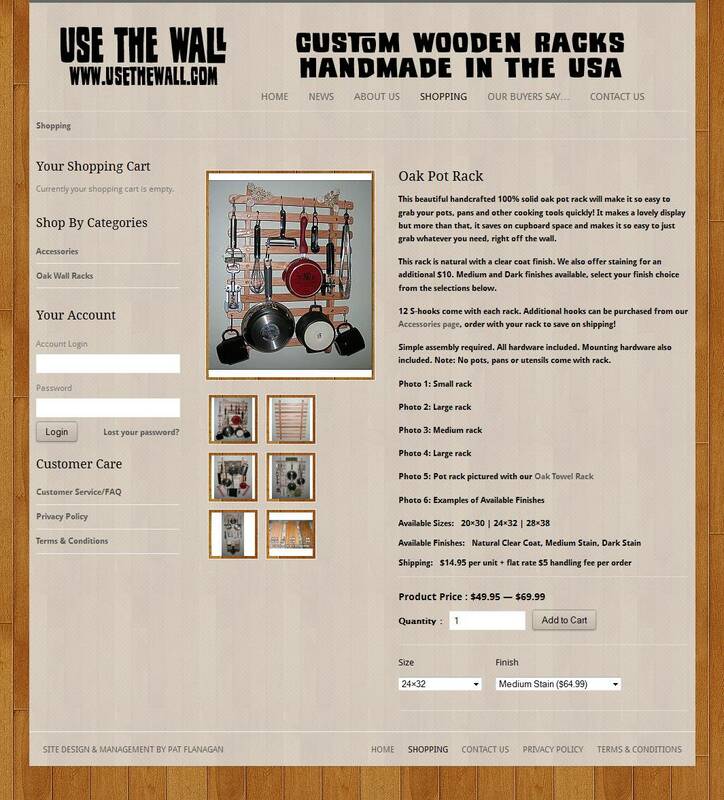 They wanted a fun, attractive website with a fully functional shopping cart that would be easy for customers to use for ordering. Full hosting and ongoing maintenance are provided for this website. Traffic Statistics: Full server-level statistical tracking in place, detailing home country of each visitor, their movement through and time spent on the website, referrer source and search terms used (if applicable), plus dozens more pieces of information. Search Engine Optimization: Full search engine optimization framework throughout, allowing each title/descriptions/keywords of each page and post to be tailored for maximum search engine potential. Social Media Integration: Blog posts can be broadcast instantly to client’s Facebook account. Facebook “Like” and other social media buttons integrated throughout site to encourage visitors to share pages and posts, resulting in increased incoming traffic and incoming links. 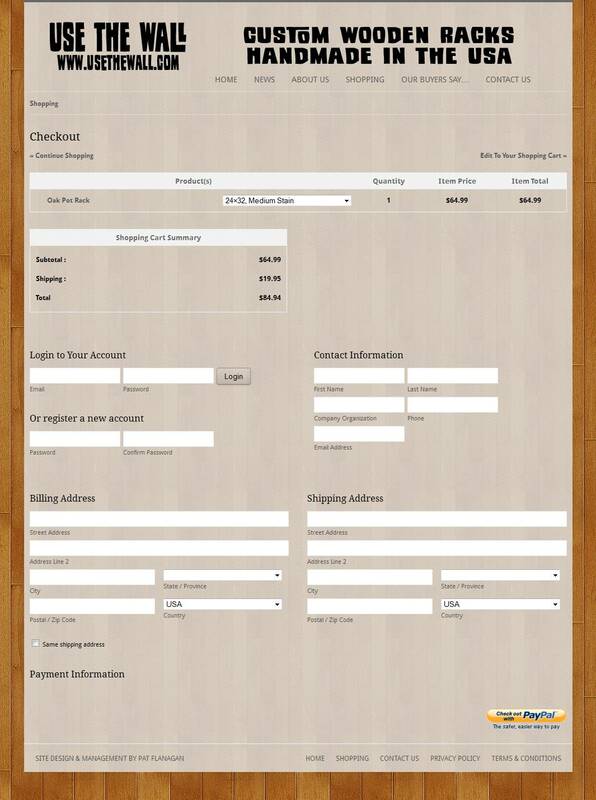 Shopping Cart: Fully functional shopping cart integrated into site, with full order tracking in administrative backend. Product Management: Easy-to-add products; digital and/or hard goods; custom product categories, large numbers of photos and multiple customizable options per product; customizable shipping options and shipping amounts for each product or flat rate options; inventory tracking included. 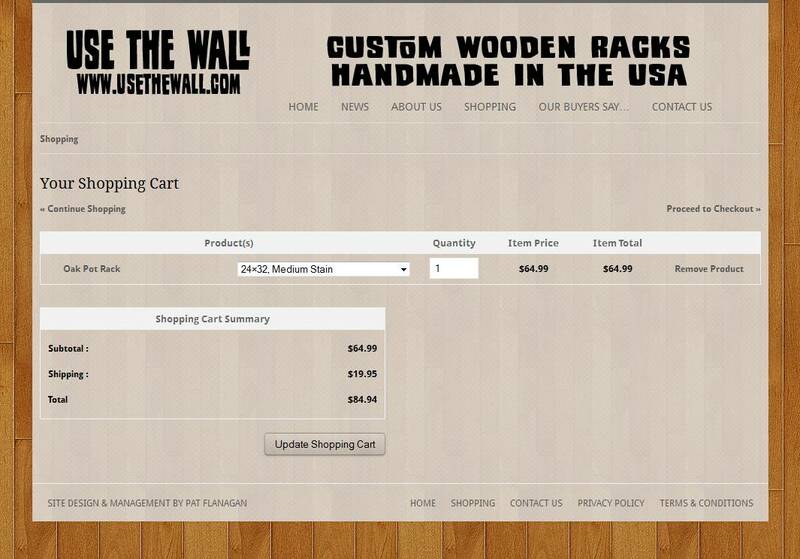 Sales Management: All orders stored in admin; new orders marked pending until shipped; optional customer groups and coupon codes. Payment Processing: Ability to interface with PayPal (Standard & Express), Google Checkout, 2Checkout, Authorize.Net for online payments, as well as the ability to offer offline payment options such as mailed payments or bank transfer. 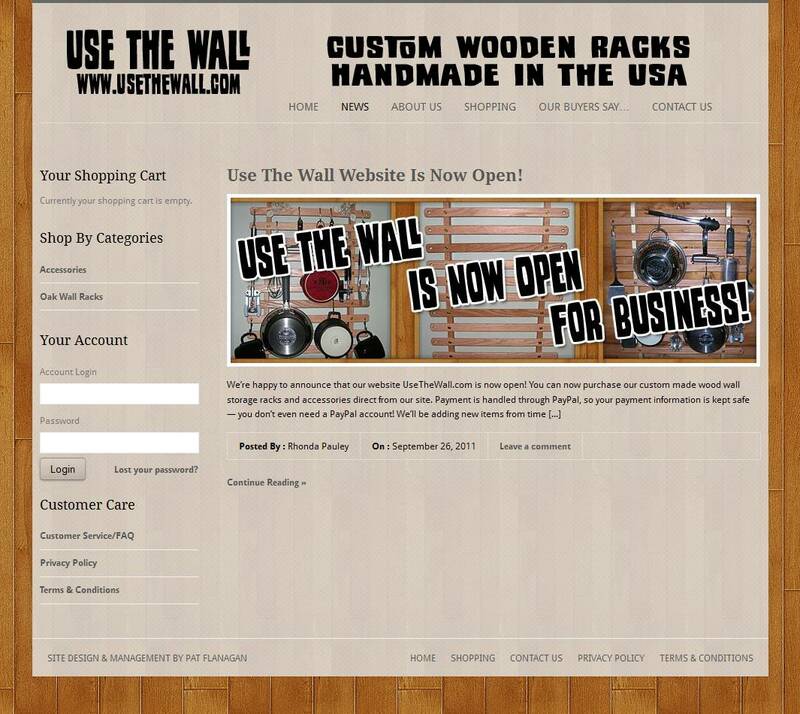 News Blog: Standard WordPress news blog functionality included, for announcing new items, sales, etc. 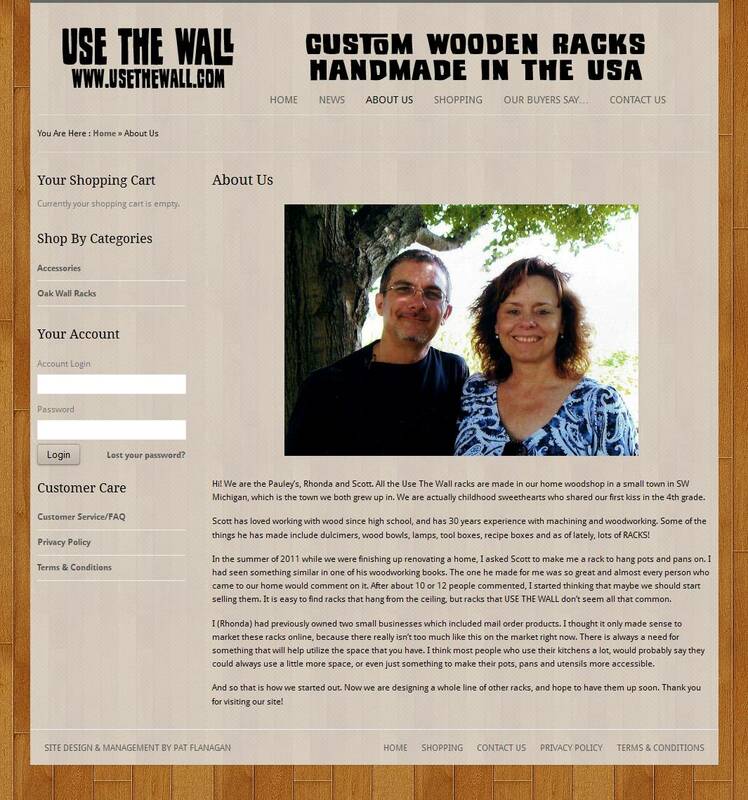 About Us: Information page with photo of the Pauleys and the story of how they started selling Scott’s custom woodworked products. 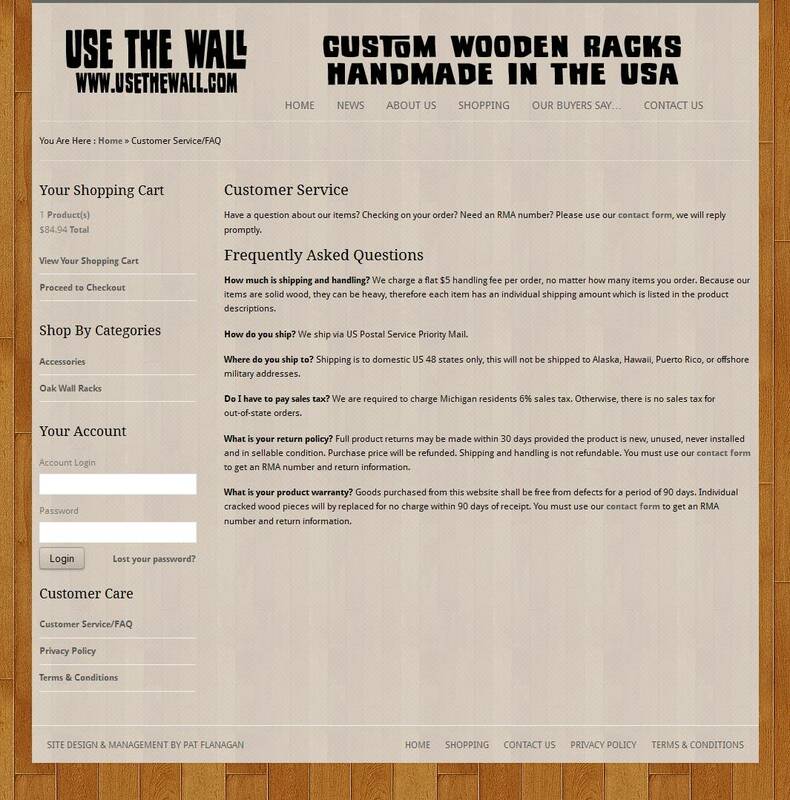 Testimonials: Client-editable page for listing client feedback. 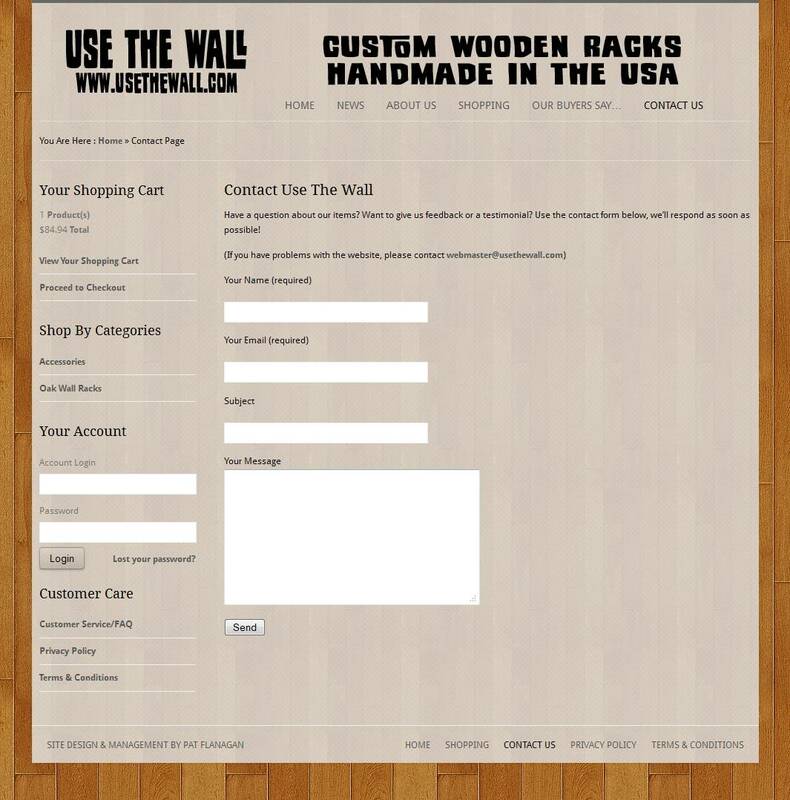 Contact: Customizable contact form in use to protect privacy of client’s email address. 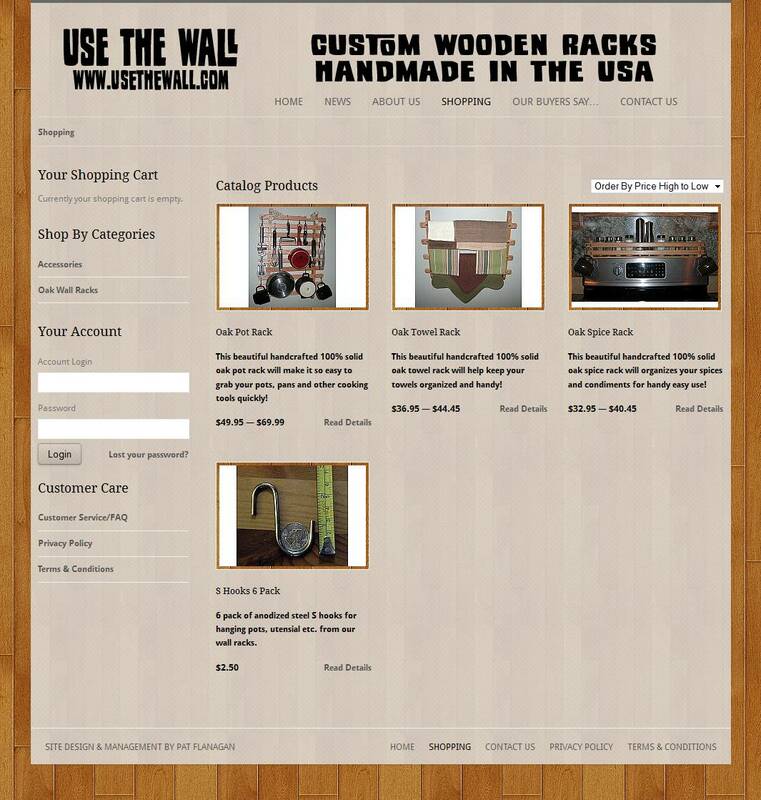 Click here to visit UseTheWall.com!